Toronto, May 14 (IBNS) The Toronto Zoo, Canada's premier zoo with over 5000 animals representing more than 460 species in various Regions and Pavilions based on geographical locations, is closed for visitors now owing to an ongoing strike called by unionized employees, media report said. CUPE Union 1600 has given the protest call over job security and wage increases while the management called their demands as unreasonable. The Toronto Zoo is a not-for-profit charitable organization. The management said the union’s demands were simply unaffordable and do not reflect the financial realities facing the Zoo or other settlements reached within the City of Toronto. 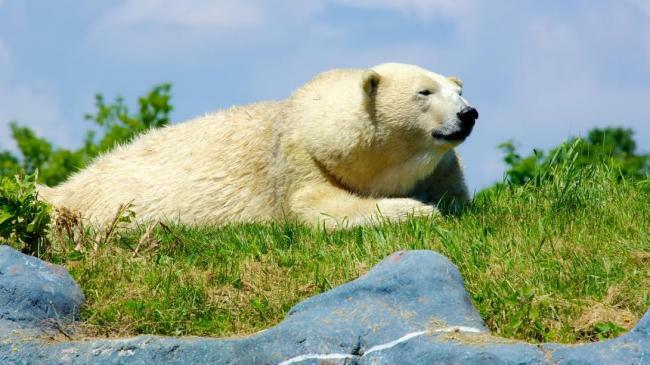 The Board of Management for the Zoo said they have been very clear since negotiations started, that any new contract would be fair and reasonable to employees and take into consideration the provisions reached in the last round of negotiations between the City and other CUPE locals. The management said on its statement that employees, including those representing the CUPE 1600, are well paid, receive an employer paid pension plan, multiple weeks of vacation, and are covered by excellent health and dental benefits which includes more than 100 sick days per year. Since last Tuesday morning, the Zoo has been providing the union with a series of proposals to address the issues they raised with us respecting job security. The Toronto Zoo claimed themselves fair and reasonable and argued that the negotiation process involves give and take by both parties but the Union has not provided any flexibility from their side. The Zoo believed that their proposals recently tabled was reasonable and address the issues of job security raised by the Union and also provides for wage increases throughout the term of the agreement. Meanwhile, the Zoo has initiated a robust contingency plan to ensure the health and welfare of the animals which they said is their number one priority. They will be taken care of in every way by highly qualified management staff, many who were former keepers themselves, the management said.